There are so many yoga teachers out there, how do I find the right one? Finding the right teacher is a personal journey. We encourage to explore classes with different teachers. If you are new to yoga, it might take you some time to find a teacher that “jives” with you. It will also take longer than one class to form a connection with a teacher. We encourage you to talk to our teachers and mention any physical limitations or other concerns that you might have about yoga. Jessica Blanchard, the studio owner, has been studying yoga for more than 14 years, and teaching for 10. Over the years, she has come to see that the best teachers have certain common characteristics across all the styles of yoga. – Open- mindedness – we all might have a preference of style, however that doesn’t mean we aren’t open to the benefits of all types of yoga. – Practicing yoga on and off the mat – Yoga is a lifestyle. How one treats people is a huge marker of how deep the yoga philosophy has permeated a teacher’s consciousness. 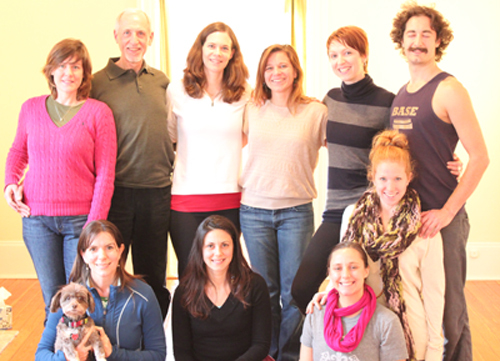 – Welcoming students from diverse backgrounds – All students are welcome at Balance Yoga & Wellness. We endeavor to create an inclusive, open environment for everyone! This list is only a start. We try to help you answer this question by making short videos with each of our teachers. In these videos you get to know them a little and learn about their training, teaching and yoga philosophy.